Yes, the rumours are true. A new Rocketeer has suited up and launching their journey in discovery of wisdom and knowledge of the big wide world of marketing and public relations. I’m at the first stage of my five-week exploration here at Rocket and oh boy, am I excited! The opportunity to gain some real-world work experience at Rocket came about at the perfect time for me. During my summer holidays as just over two weeks ago my best friend and companion left me to return in another four years. During what seemed like a short four week stay I savoured every last minute we had together. Yup, you guessed it, I’m talking about my dear friend The Fifa World Cup. The 2014 Fifa World Cup was not only one of the most entertaining to date (the best that’s been in my lifetime!). But it smashed some social media records! As well as witnessing the biggest brands in the world battle to have the most popular World Cup TV advert. Not only was I fascinated by the glorious football being played, but also glued to the screen during the adverts to see what Nike, Adidas, McDonalds & co had got in store for us! The World Cup, with its guaranteed record-breaking TV audiences, accessing the far away regions of the planet, is an advertisers paradise! 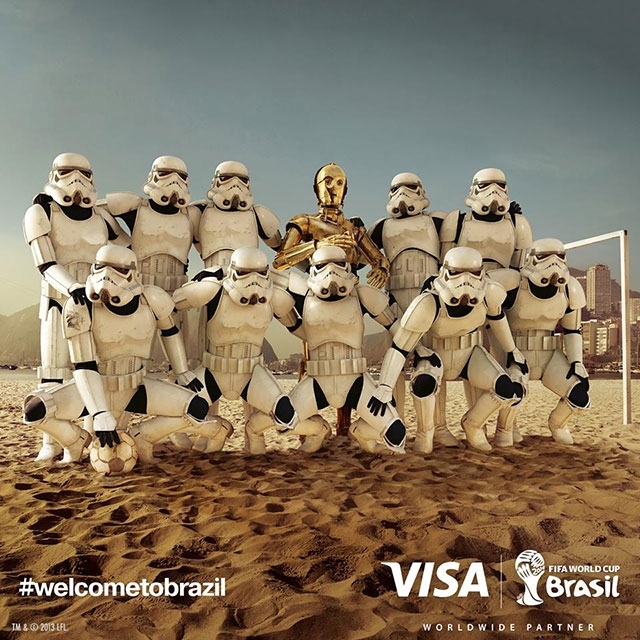 Big brand adverts during the World Cup weren’t only selling a product but also telling a story. Week’s in advanced of the opening fixture and launch of Nike’s ‘The Last Game’ TV advert. They were posting 7 second teaser trailers on their Facebook page, attracting huge amounts of attention before there had even been a kick of ball. I have to admit, I couldn’t wait to see the full 5 minute ‘mini film’! It wasn’t only during the football that people were watching the ads though. Youtube announced that 1.2billion minutes of World Cup adverts were watched online. This is 4x as many minutes watched for Super Bowl ads, a staggering statistic! It just shows the ability advertiser now have with web media to engage with their audience beyond the realms of print, Tv and radio. This year’s world cup really displayed the incredible extent social media interaction has on our everyday lives. Tweeting about a football match is now just as important as watching it. The 7-1 semi-final humiliating defeat of home nation Brazil by eventual winners, Germany, recorded 35.6 million tweets – the highest recorded during the World Cup. The World Cup also broke the record for the most Facebook interactions between users. On 30th June a reported 1 billion interactions involving the World Cup were recorded. According to statistics from Hootsuite, Adidas’ ‘#AllIn’ was the most popular with 1.1million mentions. Hyundai and McDonalds also benefited from social media. The former having a 17% of total brand mentions containing positive sentiment. And the latter taking the crown of most mentioned brand on social media during the world cup at 2.8m mentions! When it comes to big name companies, the product isn’t always No.1 priority – it’s the buzz created that counts. As you can see I’m still obsessing over The World Cup even though it finished just over two weeks ago. I’ll leave it at that!